We are eagerly awaiting the celebration tomorrow of Independence Day, when we Americans mark the fateful decision of a handful of men 238 years ago to sever the connection between the colonies in the new world and Mother England. Naturally, though, our vision of independence goes beyond that historical anniversary. In today’s program we shamelessly borrow from Sharon Astyk’s book Independence Days, and more specifically the Independence Days challenge she issues for those working to make their lives more resilient. We discuss our actions in each category. If I say so myself, we’re proud of the progress we’re making. 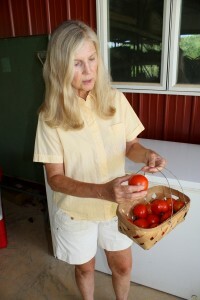 Amanda routinely picks tomatoes before they ripen. We’d love to let them ripen on the vine, but that’s happening so slowly in the heat that the bugs would get them first. All these were green tomatoes sitting in the window sill at one time. We’ve learned that they ripen nicely in the abundant light of the window sill. 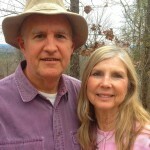 Next Next post: Podcast #245 – Can Subsistence Farmers Ever Vacation?